Blud Powersports Series: Our original line of premier advanced technology racing oils created for 4 stroke engines under most racing conditions. These are the best racing oils for the money on the planet!! Pros love Bludl! Note: The Blud Powersports Series is replacing MotoBlud, DirtBlud, BikerBlud and HawgBlud. Now all you need to know is the viscosity you want. Blud Racing Pro Series: Formulated for racing at the top level. We designed this oil to protect and enhance the operation of high compression, highly tuned engines while maintaining a smooth transmission with excellent clutch control. Blud Racing Pro Series can increase horsepower and torque while reducing engine and clutch generated heat compared to a traditional petroleum racing oil. Use this product and your mechanic will thank you! Blud Racing Pro Elite Series: A racing oil Beast!! Only for the most brutal of conditions - high heat, high humidity, silt, mud and/or all of these conditions. We believe that this is the finest racing oil on the market. There is nothing else like it available for the racing professional!! Blud Racing’s Pro Series Engine Oils are formulated with outstanding base oils and cutting edge technology additives to maximize performance and to meet the high demands in racing applications. 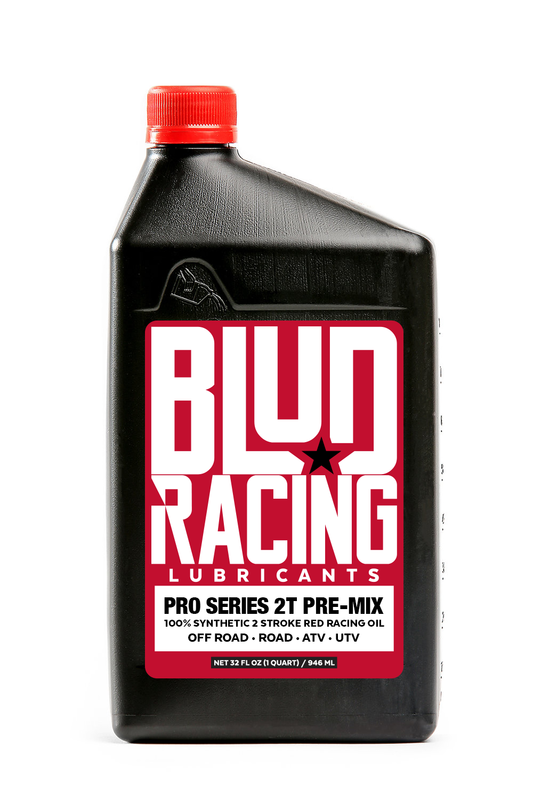 Blud Racing’s Pro Series Engine Oils help prevent sludge and varnish deposits to maintain an extremely clean engine. Blud Lubricants is proud to announce its NEW line of products to keep your machine looking good & operating smoothly.